So you think you’ve found a Brown Marmorated Stink Bug (BMSB), what now? In the last few months, importers from Italy have been on high alert for this pest as they seek shelter from the cold in shipping containers in Italy. There have been many finds of the stink bug, from the East Coast of Australia and more recently right here in the West. This particular insect is of a considerable biosecurity concern as it is a highly invasive and a voracious feeder with the ability to decimate Australia’s thriving horticultural industry. Back in February, we encouraged our readers to “Join the Bug Hunt” and gave out some sweet tips on what to look for when trying to identify the Brown Marmorated Stink Bug. 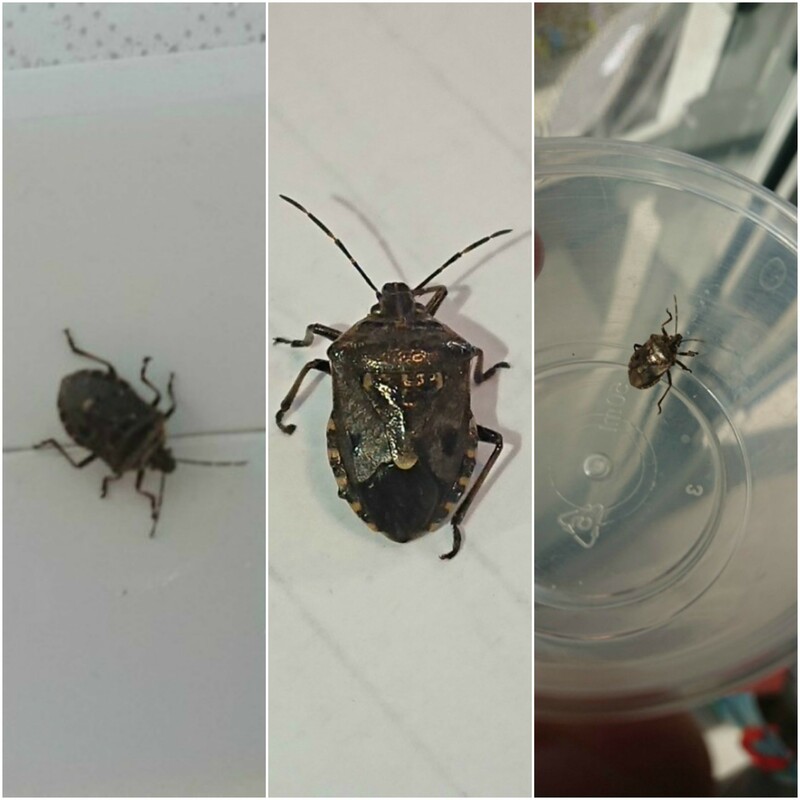 Over the Easter break our very own Shaun Hack found what appeared to be a Brown Marmorated Stink Bug at his home. Knowing the capabilities of such a small bug, Shaun was not willing to risk a case of the wrong identity so he ensured that the bug was safe in a jar. The bug find was then reported to the Department of Agriculture via their website. MyPestGuide encourages the public to get involved in Australia’s biosecurity, protecting the environment and our economy by reporting any suspicious pests within the community. You simply fill out a report and add a photo of the bug and a member of the Pest and Disease information team will be in touch with you. Shaun’s response from MyPestGuide was “I am reasonably certain it is the native predatory Glossy Shield Bug, Cermatulus nasalis (Hemiptera: Pentatomidae). The nymphs and adults are predators hence beneficial to agriculture and horticulture.” The specimen was collected for further analysis. So no Brown Marmorated Stink Bug this time, but we applaud Shaun’s quick thinking actions in this case. Well done on keeping our environment safe. Need more information on the BMSB? Head here now.